avatar_picks returns the parcel UUIDs and pick names. This allows easily checking if avatar currently holds a certain parcel in his picks. name2key (and its twin, key2name) are essential routines to work with avatars, visitors, delivering messages and checking any in-world data. 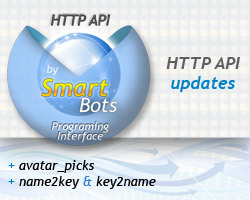 You can find documentation on all new functions in SmartBots HTTP API documentation.